it s been wired to, the Maxell PC-MF provides another female socket. The 4-way Power Connector (PC-MF4) provides one male power tap compatible connector to four female power tap compatible receptors, allowing the user to run additional hardware off a single battery connection. 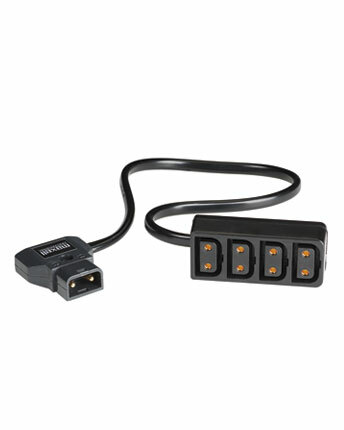 The Male/Female Power Connector (PC-MF) is a single male-to-female combined and fully customizable power tap compatible power connector which, once plugged into a device and powering the equipment it s been wired to, provides another female socket.